Germany's two largest banks issued short statements following separate meetings of their management boards, a person with knowledge of the matter said, indicating a quickening of pace in the merger process, although both also warned that a deal was far from certain. 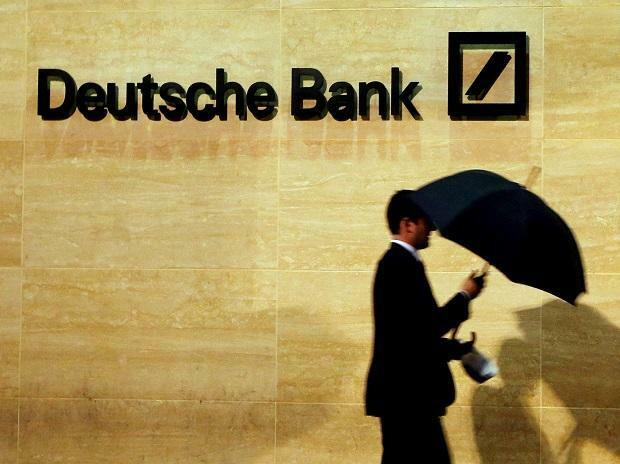 "In light of arising opportunities, the management board of Deutsche Bank has decided to review strategic options," Deutsche said in its statement. Christian Sewing, Deutsche Bank's chief executive, told employees that Deutsche still aimed "to remain a global bank with a strong capital markets business... with a global network". A merged bank would likely be the third largest in Europe after HSBC and BNP Paribas , with roughly 1.8 trillion euros ($2.04 trillion) in assets, such as loans and investments, and a market value of about 25 billion euros. "We do not see a national champion here, but a shaky zombie bank that could lead to another billion-euro grave for the German state. Why should we take this risk?" said Gerhard Schick, finance activist and ex-member of the German parliament. Hans Michelbach, a lawmaker from the Christian Social Union (CSU), the Bavarian sister party of Chancellor Angela Merkel's Christian Democratic Union (CDU), urged the government to sell its 15 percent stake in Commerzbank before a deal. "There may not be an ownership by the federal government in a merged big bank indirectly through an old stake. We do not need a German State Bank AG," he told Reuters. Germany's Verdi labour union on Sunday renewed its objections to a merger, saying that tens of thousands of jobs were at risk and that a tie-up added no value. Jan Duscheck, head of the union's banking division and a member of Deutsche's supervisory board, said the union would raise its concerns on both banks' oversight bodies. Deutsche emerged unscathed from the financial crash but later lost its footing. German officials fear a recession or big fine could derail the bank's fragile recovery. Other than Deutsche, Commerzbank is Germany's only remaining big publicly-traded bank, after a series of mergers. Initial reaction among analysts to a deal was sceptical. There will only be limited benefits of adding Commerzbank's clientele of retail and small and medium businesses to Deutsche, said David Hendler, an independent analyst at New York-based Viola Risk Advisors, which specializes in risk management. "It doesn't change the fact that Germany is not getting a flagship bank that can compete on the world stage. It's still a stunted bank with a lot of problems," Hendler said.